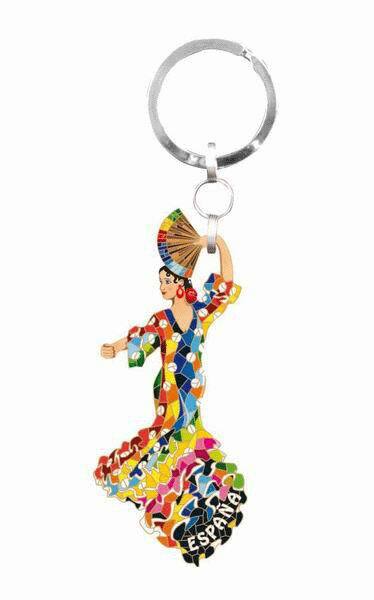 You like flamenco and you want to give a flamenco touch to your keys? You have the solution with this keyring. It is a dancer with a multicolored flamenco dress, that imitates the Gaudi's technic.